Have a look at some of the industry incidents we have been made aware of in recent weeks. 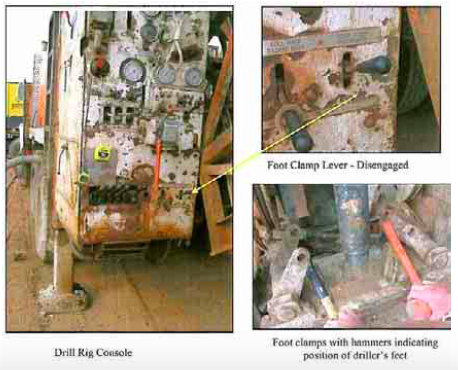 A driller had his feet crushed when drill rig foot clamps unexpectedly closed. The operator was standing at the bottom of the mast attaching the cyclone pipe. Both of his feet were under the open foot clamps. The driller's offsider accidentally knocked a set of Allen keys off the control console. The keys hit the control lever operating the foot clamps closing both on to the opener's feet. Read more about the causes of this incident and the recommendations to prevent the hazard in this report compiled by the Queensland Department of Mines and Energy.